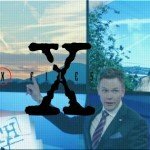 The X-Files new mini-season has been accused of being an admission of truth by the global elite, a type of predictive programming and an attack on conspiracy theorists. In this episode we explore the possibility that it promotes conspiracy theories and conspiracism as a way of thinking far more than it mocks or discourages those things. 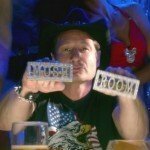 I highlight several scenes from throughout the new season that show how in particular the Mulder and Tad O’Malley characters are designed to draw the attention and sympathy of conspiracy theorists. I finish up looking at how Spooks was doing a similar thing 10 years ago with the theory that Princess Diana was assassinated. 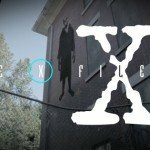 I heard about the new mini-series of The X-Files sometime last year, and then started seeing quite a lot of hype about it as soon as January began. So I was primed, ready to watch the show and ready to try to figure out what it was doing. The new season is a good watch, for the most part, it’s pretty funny and quite imaginative, though I didn’t really give a damn about the sub-plot involving Mulder and Scully’s son. That consistently felt tacked on, especially given the cliffhanger of the final episode. But we’re getting ahead of ourselves. We got six episodes in this new season and I have written five articles offering my thoughts in some detail. I’ve been watching the episodes closely and monitoring some of the reviews and especially the responses to the show in some of the conspiracy-themed facebook groups. I’ve also been keeping an eye out for signs of state sponsorship of the show and all of this is in my articles. So I’m going to offer you a condensed, digested form of my thoughts on the show and pick out a few clips that I think highlight what the show is doing. The responses from the conspiracy community, in as much as I’ve seen them, break into two camps. The first camp view the show as cynical propaganda by ‘the elite’, either mocking conspiracy theorists or predicting the FEMA camp-laden New World Order of the future, or both. The other camp view the show as a form of enlightenment by ‘the elite’, a verification and vindication of their view of the world. This first clip has been played all over facebook and youtube with tag lines saying this is the truth, this is some kind of revelation via pop TV. That is from the first episode, so you can see that the show isn’t really mocking conspiracy theories, if anything it is affirming and encouraging them. The second character alongside Mulder is Ted O’Malley, a conservative conspiracy theorist talking about a whole bunch of stuff most of which is non-existent fantasy. Chris Carter openly admits that O’Malley is based on various shock jock internet hosts including Alex Jones, so I think the conspiracy theorists in the audience are supposed to identify with this guy and with what he says. As the show progresses a whole load more conspiracy theories are put forward, many of which are shown to be true within the reality of the show. However, in analysing whether the show is more likely to encourage or discourage conspiracy theorists and theories we need to consider more than just whether conspiracies are shown to be real within the context of the show. We have to consider whether the show’s dialogue and plots actually encourage this. I think it does, and so here’s my reasoning why. The central character is Mulder, the basement-dwelling conspiracy theorist. Without him, there is no show, there’s just Scully having a pretty successful but boring career and no one wants to watch a show about a woman having a successful but boring career. It is Mulder’s willingness to believe and desire to investigate that generates all of the interesting stuff that happens. Mulder is like the investigator in a classic conspiracy thriller – the private detective or investigative journalist. These days it’s almost always someone within the government system itself, a CIA or FBI agent who stumbles onto massive corruption and a conspiracy of silence. One might well argue that this shift, from the investigating protagonist being a private citizen to being an employee of the state, is a result of increasing state sponsorship of the film industry. And if I had to guess, I’d say it is. Regardless, our identification with Mulder is our identification with our inner conspiracy theorist. If people think conspiracy theories are ridiculous then they probably don’t watch this show, they probably watch some pop science program which gives them their nerd pleasures and something to talk about at work the next day. Thus, I suspect that most of the people watching The X-Files are, to some extent, conspiracy theorists. The very existence of shows and films like this, from All the President’s Men to Homeland, constitute some kind of encouragement to conspiracy theorists and theories. The show is littered with references to conspiracy theories which are rarely shown to be false, or when they are the general direction of conspiracism, of suspicion that there is a conspiracy, is vindicated. This is best demonstrated in the third episode where Mulder is initially found sat in his basement explaining how loads of his old files and cases have since been proven to have normal explanations or were hoaxes. Mulder and Scully are called upon to investigate murders in a small town in a classic monster-hunt of the week episode. By the end of the investigation Mulder has the whole thing explained to him by the monster himself, who even transforms before Mulder’s very eyes at the climax to the episode. This could not be more conspiracy theorist-friendly, showing our hero feeling like giving up and that maybe he was foolish to pursue these things, and then receiving vindication in the surest of forms. It even plays into the sense of social alienation a lot of truthers and conspiracy theorists experience, because Mulder can be sure he met the monster but he can’t prove it to anyone else. This quite subtle form of encouragement and exoneration continues into the next episode, where Mulder is left on his own for a while to investigate another monster who is killing government employees in Philadelphia. Scully has to run off to attend to her dying mother, so Mulder sets out to find the killer. The HUD employee who is initially murdered is part of a plan to forcibly relocate the downtown homeless. Mulder quickly runs into two other interested parties – a city administrator and a property developer. While it appears they are in opposition, in reality they are both self interested and Mulder recognises this almost immediately. This is a metaphor for the two-party system or any other false dichotomy that many conspiracy theorists think is deliberately foisted on us as part of a Hegelian dialectic blah blah etc. over and out. Mulder, in seeing through this facade in order to get to the truth is once again the conspiracy theorist who is vindicated. In this episode it turns out that the monster is some kind of voodoo spirit made flesh by the resentful anger of a street artist who was trying to use graffiti symbols to give a voice to the homeless. So the truth in this story is that thoughts are as powerful as physical reality, and by extension that resentful far-reaching conspiracy theories are some kind of threat to the real world establishment. They are not, on the whole. Indeed, the further-reaching the theory, the less likely it is to be real and hence the less likely it is to be a threat to anyone. False conspiracy theories, which is most of them, are if anything quite useful to people who manipulate things from behind closed doors. Nonetheless, this fantasy continues into episode 5, where two Muslim suicide bombers blow up an art gallery in Texas in response to an exhibition of Mohammed paintings. This spectacularly bigoted episode is resolved by Mulder taking a heavy dose of magic mushrooms, which are in reality placebos, and tripping his way into communicating with the near-dead body of one of the suicide bombers. This enables Mulder to get the name of a hotel where a group of other bearded Muzzies are allah akbar-ing with murderous intent. Indeed, the show parallels these two agendas, portraying a nurse who tries to kill the near-dead terrorist out of some kind of racial spite right next to Mulder dropping the drugs and rocking his world. The message appears to be that the drugs do work, that there is a higher level of consciousness that you can get to by taking DMT and listening to David Icke talk about the cultural marxist EU plot to bring in refugees, and that this higher level of consciousness enables people to solve serious crimes. What better encouragement to give to the alternative crowd? What better story to tell budding conspiracy theorists looking for a way to make 21st century post-industrial life a bit more interesting? So, while specific conspiracy theories are proven wrong, the general paradigm of conspiracy is proven true. On balance, and given the apparent psychology of the storylines and dialogue, I feel that the show encourages more than discourages this type of thinking. The final episode, which is essentially the first half of a disaster movie where the entirety of humanity is threatened by a plague manufactured by the elite who are protecting themselves and select chosen others with alien DNA, only brings all this back to the fore. Even Scully, the sceptic, the scientist, is convinced by the end that this high-tech elitist plot to wipe out humanity is the real deal. While O’Malley is consistently wrong about the details, the general direction of his coverage is shown to be right, to be true. So we have one of the world’s most famous, most-discussed, most influential TV shows endorsing extremely complex and far-reaching conspiracy theories, far beyond what Spooks or Homeland or other comparable shows have done. In fact, it is conspiracism – the general worldview and filter through which some people view almost all events – and the conspiracy culture, rather than conspiracy theories or theorists as such, that are being encouraged, inspired, vindicated and supported. And this is where I depart from many conspiracy theorists – I am a conspiracy theorist, but I’m not only a conspiracy theorist. I don’t think conspiracy is the primary driving force of human history. This distinction matters, because I don’t dispute that government and business, at least on the large, centralised scale is mostly corrupt. I don’t dispute the existence of a morally corrupt ruling class whose wealth dwarfs that of most individual countries. But I don’t really go any further than that. Not just because I don’t see much evidence for something more than that, but also because I see no reason to believe in it in the absence of solid evidence. There’s nothing good about believing that. Call me naive, but I think that there are some ideas out there that do not bear believing in, they just make you angry and frightened and feel hopeless. Or perhaps worse, desensitised and apathetic and worthless. This analysis would not be complete without at least addressing the common concern that this show The X-Files is somehow an attack on conspiracy theorists – mocking them or trolling them or in some way trying to disrupt them. One could make this argument, there are elements to the show that do seem designed to do this. I do wonder whether Chris Carter is just a prankster at heart, the bad sort of prankster – a guy who thinks other people are idiots and that it’s fair game to mess with them. What I don’t think is that Carter is an agent of the elite who are somehow so concerned with the geniuses on facebook and youtube that they created a whole TV show just to try to make them even more politically irrelevant than they already are. So the show is doing multiple things at once, sometimes contradictory things, but on balance I think this is a promo for the conspiracy culture far more than a mockery of it. And ask yourself, what kind of cultural movement is so paranoid about its own self-image that it has to believe that this show is targeting them? It’s actually pretty kind to conspiracy theorists, but a large number still feel uneasy and think the show must somehow be a response to the threat that they pose. But for the most part they pose no threat whatsoever and meet with very little resistance precisely because they aren’t really doing anything. Even Anonymous, roaming the internet causing mayhem, aren’t really a threat to the system. For one thing because most of them don’t seem to understand the system, at all, but also because finding the holes in internet security just helps the Pentagon, CIA and the rest improve their internet security. One might argue the same about my FOIA activity. All I’m doing is helping them learn how to cover their tracks. However, that’s not all I’m doing, even if to some extent I am helping them do that. Once again – this is a show about conspiracy theorists, for conspiracy theorists, by conspiracy theorists. From anti-vaxxers to 9/11 truthers to shroomers to neo-Nazis, virtually every type and branch of conspiracy theory and theorists are encouraged and absolved by The X-Files. Whatever the ambiguities of the show’s treatment of any individual theory, the overall paradigm is buoyed and promoted, perhaps more than in any other recent film or TV show. The notion that conspiracy theories and the mainstream media are two mutually exclusive phenomena, even hostile phenomena, is firmly refuted. If nothing else, that conclusion is the important take-away from this new season. 1) The FBI feature prominently, but they’ve never distanced themselves from the show so I can only assume that the show has permission to use their name and logo and so on. 2) NASA virtually never appear in the show, despite the overall storyline being about spacecraft and extraterrestrials. 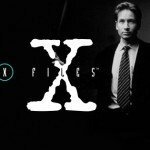 Given that their formal relationship with the entertainment industry mirrors the CIA’s – it goes back decades but only formally got going in the 1990s, when The X-Files was originally being made, it is possible that this is a NASA project. 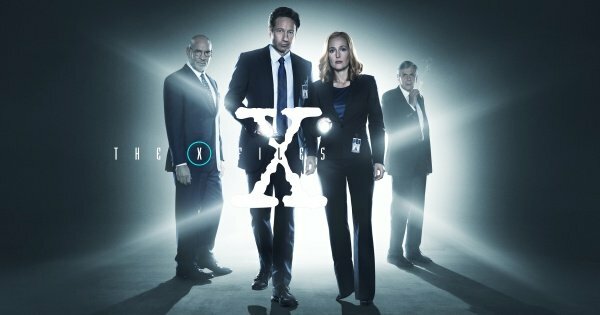 3) The CIA have been using their website and twitter account to jump on The X-Files bandwagon and promote the show as a means of promoting themselves. They also play a minor role in the show’s story when, like NASA, they should been deeply interested and involved in all these conspiracies and shenanigans. 4) The British National Archives have used the new X-Files to promote their large collection of files on British UFO incidents. This is by far the biggest release of documents in Ministry of Defence history and came in several batches from 2008 onwards. They parade this around quite a lot – they clearly want people to read these documents or at least be aware that they exist. So this whole area of extraterrestrial/UFO disclosure is clearly one that is officially sanctioned. This is part of the these of Robbie Graham’s book Silver Screen Saucers, which I thoroughly recommend. So, while none of this adds up to state sponsorship of The X-Files, what it does pose is the question of to what extent the conspiracy culture or subculture has been state sponsored. Not necessarily in terms of large numbers of alt media producers actually working directly for the government, but in terms of doors being opened, timely donations coming in from unknown paypal accounts and that sort of thing. It would be easy enough to do it without using popular TV shows, but there are numerous examples of popular TV shows endorsing these sorts of theories, these sorts of mindsets, this sort of culture. One of the best-known examples is, of course, The X-Files spinoff show The Lone Gunmen which in the very first episode portrays a passenger plane being remotely hijacked and flown into the World Trade Center, except it is saved at the last minute by some ludicrously good looking female hacker. 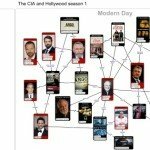 But to round things off and to show you that this seeding and encouraging of conspiracy culture by the mainstream has been going on for a while, I want to offer you the example of Spooks – a show with consultants or technical advisors who had worked for both the CIA and British intelligence. In only the second episode of this show – Looking After Our Own, which was broadcast in May 2002 – the show alludes to the very popular theory that Princess Diana was murdered. In the episode MI5 infiltrate a far Right organisation who are trying to organise race riots and cause mayhem. One of the MI5 agents, a young woman, is killed by the gang in brutal fashion, this is the deep fryer incident that caused a lot of controversy at the time. At the end of the episode the higher ups, the powers that be, decide against retribution in revenge for their murdered comrade. So the spooks that we follow throughout the series, the section within MI5 who had infiltrated the far Right gang, decide to have him assassinated without any kind of permission or oversight. The end of the episode sees a car carrying the leader of the far Right group in a car going into a tunnel. A single assassin on a motorbike follows them in, we never actually see how he kills the people in the car, and then the motorbike emerges from the other end of the tunnel all alone. Spooks returned to this topic of the possible assassination of Princess Diana at the end of season 4 in an episode called Diana, which was broadcast in late 2005. In this one a former agent of MI5 bluffs her way into a secure section and then threatens to blow them all up, including herself, unless they give her evidence that Diana was assassinated. So MI5 come up with this. This clip is also on the BBC Worldwide youtube channel, where it has tens of thousands of hits. A TV moment they were quite proud of, I guess. But I invite you to compare this last clip, where Zaf from Spooks is explaining how they whacked Diana, and the clip from the opening episode of the new X-Files where Mulder and O’Malley explain the conspiracy to end all conspiracies. Popular culture teaches us what conspiracy theories should sound like and look like. That’s the thought I want to leave you with today.